Impressive furnished apartment surrounded by mountains with a range of professional services at the owner‘s disposal. Parking place and furnishing included in the price. new ski in/ski out apartments directly at the lift, the possibility of hotel services, rental income, spa, fully equipped. 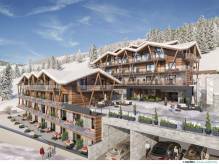 A new apartment project in unique location at the renowned resort of Bad Gastein. The buyer does not pay the real estate commission! 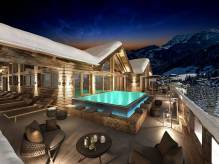 Located in the world's best skiing area, guaranteed rental income, luxurious furnishing, spa and fitness facilities, restaurant, full rental and management service. The buyer does not pay a real estate agent fee! New apartments in the centre of Längenfeld, good-quality furnishing, combination of private use and further lease. Estimated date of completion is August 2019. The best Alpine spa resort in the vicinity of the project. The buyer does not pay a real estate agent fee. Luxury apartments with 2-4 bedrooms in the centre of the Lech resort with an outstanding view are available. They come fully furnished and with access to a wellness centre with a pool, a sauna and a hammam. You will be able to use them yourself as well as profit from rent. The construction is set to finish in December 2019. The buyer does not pay any brokerage fee! New fully furnished apartments with sauna available. Situated right in the centre and close to a ski lift. You will be able to use them yourself as well as profit from rent. The constructions is set to begin in autumn 2019. The buyer does not pay any brokerage fee! New apartments for 4 - 8 people within a walking distance from restaurants, shops and entertainment, with a combination of use by the owner and further lease, to be completed in December 2019. The buyer does not pay the real estate commission! 4* apartments near the cable car, fully furnished and equipped, parking space included in the price, attractive income from the rental fees, completion in December 2020. The buyer does not pay the real estate commission. 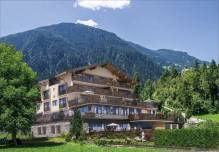 New apartments in the heart of Zillertal, a quiet location near the centre, fully furnished apartments, combination of use by the owner and further lease, guaranteed income of 4%. Construction commences in April 2019. Completion in December 2019. A new 4-star apartment complex in Saalbach/Hinterglemm, 11th project built by this successful developer, fully furnished, lobby, bar, 2 restaurants, fitness centre, spa, saunas, indoor and outdoor swimming pool. The buyer doesn´t pay the real estate commission! New apartments in the Zugspitz Arena resort, an experienced developer, a restaurant, a reception, a fitness centre, a wellness with a swimming pool, a sauna. The buyer does not have to pay any commission. Seven new apartments with 2-3 bedrooms, just a few steps from lifts and ski slopes, the status of recreational use without the need for further rental! 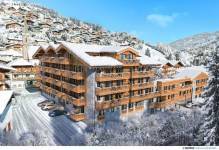 New apartments right next to a ski slope, Zillertal Arena, top-class equipment, underground garage, rental income. The buyer does not pay real estate commission. Ski-in ski-out! 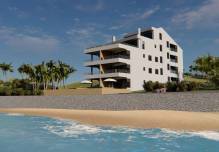 The buyer doesn´t pay the real estate commission! 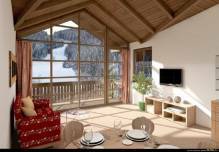 A new resort of 60 chalets, a combination of traditional architecture and modern features, rental income, ski in ski out. Buyer does not pay real estate commission! Apartments in Obergurgl, personal and rental use, parking garage, wellness, guaranteed rental income 4%. Luxurious apartments in the ski and tourist paradise of Zell am See. There are a swimming pool, wellness area, garage and many more available in the complex. The apartments are fully equipped.